Imagine A Bright, Cheerful Singing Companion Free From Canary Disease. 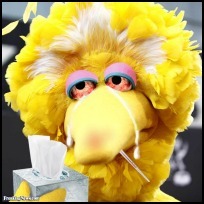 As always...prevention of a disease is the best way to keep your pet canary singing. Of course, prevention is never 100% effective. Once in a while you may end up with a sick canary on your hands...regardless of the quality of canary care given. Fortunately for the canary owner there are not a lot of canary illnesses that we have to worry about. One or two birds kept in your home will not be subjected to the plethora of canary illness that might be found in a large aviary or in the wild. Pet canaries do get sick. Bacterial infections, viral infections, and general ill health can certainly become a problem in the "caged" environment so you want to take every precaution possible to make sure your canary stays healthy. Most of the time, though, it can be very difficult to know what, specifically, is ailing your little friend. loss of appetite--or sometimes a healthy appetite accompanied with weight loss. This is where your knowledge can drastically increase your bird's life span. When your canary gets sick, he'll use every bit of energy he has to hide that illness. Knowing how to spot the subtle symptoms of a sick canary is one of the most important things you can do. And it's very simple to do once you discover the easy-to-learn signs. To find out how you can BOOST The Health Status of Your Canary Bird Like Never Before click here now. 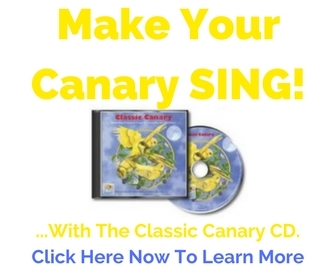 You won't always know what disease your canary has contracted. It's always best to see a veterinarian...more on that in a minute. If you can't figure out exactly what canary disease you're up against you may still get good results by treating for a GENERAL ILLNESS. This is risky. Canaries can get sick and die within a few hours. The poor things are highly susceptible to infections. Visiting an avian vet is ALWAYS the best option...if you can afford it. Canary breeders diagnose and treat canary disease themselves all the time. Do they ever have a canary die because they made the wrong diagnosis? Yes. I'm sure of it. Is it worth the risk? So you need to decide for yourself the value of home-treating your canary. Preventing disease in your canary and keeping him healthy is your most important task as a bird owner. It's not difficult though. A little knowledge goes a long way. It is estimated that over 90% of pet canaries have the canary disease known as mites. They carry other diseases that may make matters worse AND that can be spread through out your aviary--if you have more than one bird. Click here for more on airing out Air Sac Mite problems. These pests like to chomp on your canary's feet, legs, and face causing a scaly build-up.Click here for more on how to recognize and handle these troublesome pests. Feather mites feed on, not only decaying feather residue, but some will actually burrow into your canary's healthy feathers to find food....they may be munching away at your bird right now! Click here for more info on saving your birds feathers. Click here for more info on red mites. Similar to mites, lice can multiply until your canary suffers and dies from anemia. Although not as much a problem as mites, be aware of how lice can make your bird sick...and ugly. Click here to learn how to keep your pet bird free of lice. ...or Enteritis is a common canary disease problem. The sure signs of stomach problems are...Click here for more on stomach problems. Click here for more on tapeworms in your canary. Welcome to the club! You'll love all the valuable information on canary disease and treatment. And...I don't think you'll want to but...you can unsubscribe anytime. Click here for more on Canker. Click here for more on respiratory infections. ...is a canary disease that can be very lethal. It is estimated that over 80% of canaries that get the virus will die. Click here for more on canary pox. It's also possible for your canary to go into a molt when he's NOT supposed to. Off-season molting lowers your birds immunity to dangerous levels. Smart ways to fight the off-season molt. "A healthy canary is a nimble, cheerful bird with tight plumage, bright eyes, a hearty voice, and a healthy hunger! There are no mites on it; it sings with the joy of life; it stands high and proudly on its feet and is a picture of activity". If your canary does not fit the above description you should start looking for symptoms of disease and illness. My six week old Canary suddenly got puffy and died. I don't know why? He has two siblings that seem healthy. Any ideas? Return from Canary Disease to CanaryAdvisor.com Home.